In all his designs, he seeks to route the golf course with minimal intrusion to the lay of the land, a goal that he certainly met at The Ledges. Brad lovingly placed our course on a unique and beautiful site. He designs golf holes that are aesthetic yet meet the unique demands of golf. He also seeks to achieve a balance of continuity, playability and emotional satisfaction while attempting to create novel and original holes that are interesting to all levels of golfers. Many of the courses that Booth Golf Course Design has designed are in Maine and New Hampshire. 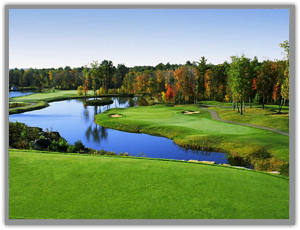 Besides The Ledges, they include The Meadows Golf Club in Litchfield, Maine; Spring Meadows Golf Club in Gray, Maine; Lily Pond Golf Course in Somersworth, New Hampshire, and The Oaks Golf Links in Somersworth, New Hampshire. Click Here to go visit the Booth Golf Design website now.